How to add fluidity into your most basic OOTDs. Ladies, I know you’ve been obsessed with fluidity when it comes to street styling your everyday outfit and I’m here to help you out with that. Sometimes, a shirt can be more than a shirt that it goes into the territory of an outerwear or a dress. But you can’t wear it as a utilitarian outerwear or a dress because it’s sheer. 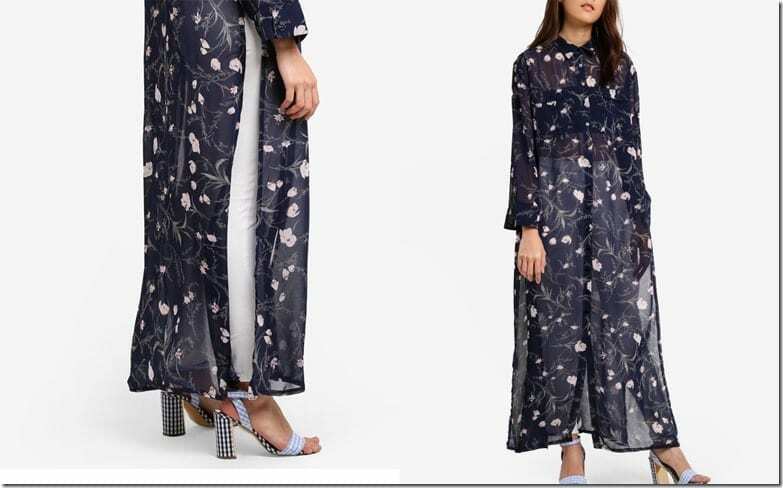 ZALORA Malaysia has a new shirt style that isn’t a shirt, can’t be worn like a normal shirt because of its peek-a-boo nature but it’s long, flowy and will so add that punch of DRAMATIC fluidity into your most boring OOTDs, you know you can count on it when you want to appear very fashion-y. 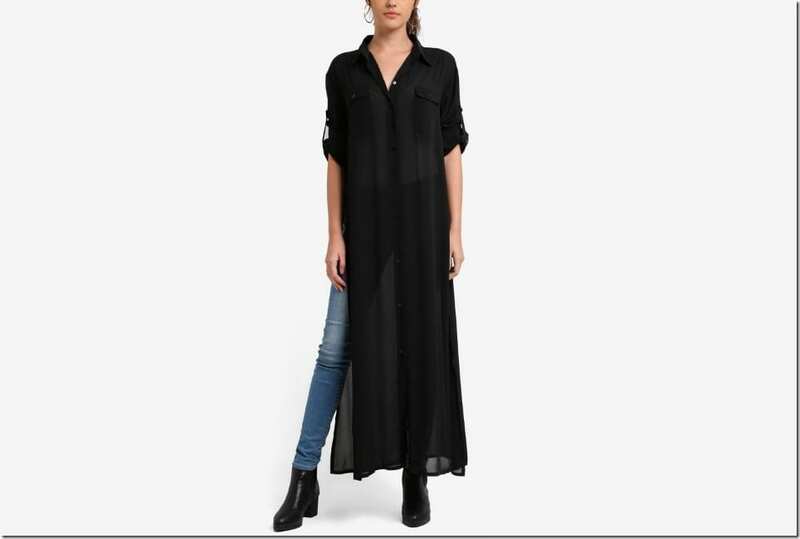 Aesthetically, the shirt works like a longline cardigan but is supremely lightweight it’s like a layer of cloud so this is something to wear when the weather’s far from nippy. 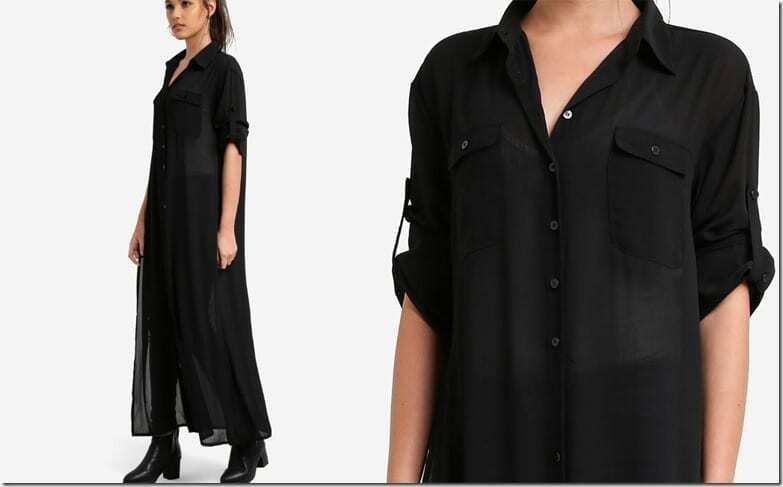 Anyway, now that I have found something akin to an add-on to your wardrobe, I’ll let you decide if this sheer maxi shirt style is a yay or nay for you. Enjoy! Which flowy maxi sheer shirt would you love to wear? Share below – I’d love to know! 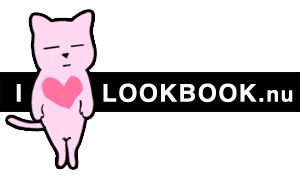 Remember to use our code ZBAPEDJ for your 15% OFF when you shop for the first time on ZALORA Malaysia.